Taking an outdoor shower in the open air washes away the stresses of NYC living. 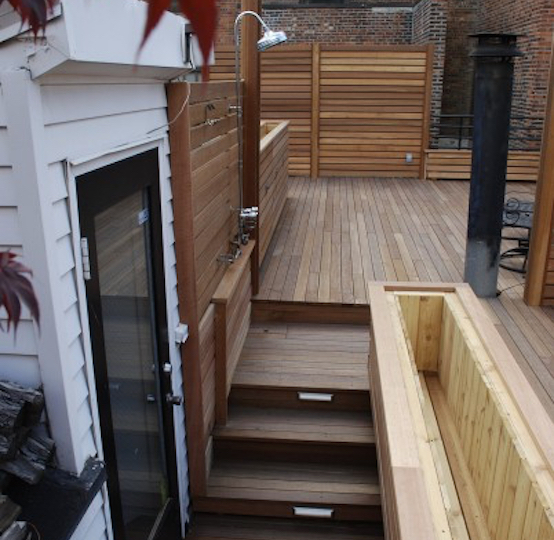 New York Roofscapes deck builders will design an outdoor shower that’s completely private, even next to a 40-story NYC building. 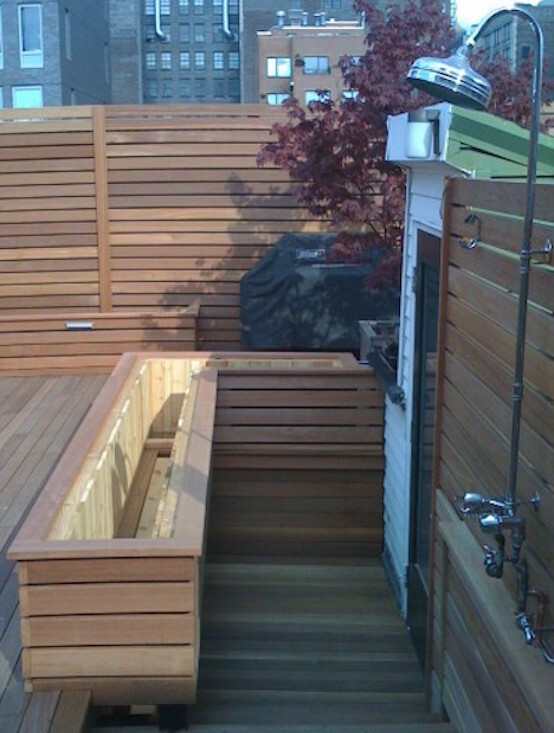 We can design private entrances and paths to your outdoor shower.